Join us on 24th April 2019 at 3:30pm BST / 10:30am EST for a live demo of our latest product release version 5.2. Arkivum have been busy making exciting updates to our product focused on re-enforcing Arkivum as the trusted partner for long term data management and digital preservation. In this live product demo we will be highlighting some of the new features we have been working on such as preservation-as-a-service, enhanced AtoM integration, approval workflows and handling of e-signatures, and enhancements to reporting and user access controls to make sure the right people have access to their data when they need it. We will also discuss the various deployment options available as well as modular capabilities to support your emerging needs and provide complete flexibility in how you control your long term data management needs and the associated costs. Sinéad has a track record in bringing to life innovative data-centric software solutions. Her expertise spans from leading the creation of enterprise-grade SaaS offerings while working at NICE Systems, a global leader in Customer Service and Financial Crime Prevention provider, to building big-data analytics platforms at UK-based upstart companies. 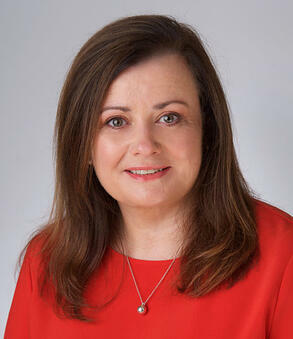 Sinéad is responsible for the company’s product portfolio worldwide.